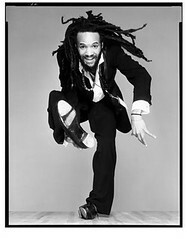 Two years ago, world-renown tap dancer Savion Glover, came to London. Having danced with one of his co-stars during my days in the New Jersey Tap Ensemble, I convinced my flat mates to join me at Sadlers Wells and emailed my mom to tell her that I’d be too busy partying with Savion to participate in our weekly Skype chat that evening. And dream I did. Growing up in New Jersey and performing frequently in Glover’s home town of Newark, I was one of the many hopeful adolescents who waited backstage at the New Jersey Performing Arts Center, practically salivating for the great hoofer’s autograph while I should have been busy rehearsing. As such, it was all I could do to keep from squealing like a teenage girl when, years later, I found myself invited to join the Tap Dance Kid himself for dinner after his show at Sadlers Wells. “You’re never going to believe where I was last night!” I later told my mom. And why would she? I’m not the sort of girl who dines with celebrities and even I had a hard time believing that I eventually accompanied two of Savion’s co-stars to a nightclub in Camden Market and spent the following night at their hotel, reminiscing about past performances. Nonetheless, I did squeal like a teenage girl when I learned that Savion was to perform here in Philadelphia at the Kimmel Center, because now, I have several dozen teenage girls under my tutelage. Thanks to an “anonymous patron of the arts” I was able to buy tickets for my Friday night classes. Even though they’re my most challenging, I’ve always been a sucker for lost causes and figured a trip to the theatre just might do the trick. I’m so going to need a drink afterwards but with any luck, this drink will be with the cast, after my charges are safely returned to their parents. Can’t wait– its gonna be fun! Should be interesting to hear their comments about this style of tap, as it is much more intense than what they are used to. So what was He like? I always found him fascinating – and attractive! Wow! Such memories of watching him as he grew up – before he was, ya know – world renowned. Savion and Marshal could not have been nicer to the girls, and it was so cool when the girls realized that you “knew” Marshall and that you were texting him to see where the girls could meet them. So funny and a great surprise for them, watching them gaze (& take pictures) at all the wonderment that makes up the Kimmel Center, getting to go up to the atrium, fun! I would have worried about a bunch of teens too!Imagine if they end up running off, and you now have to explain that they have fallen in love with a dancer and are leaving for a road show! All bringing on a lot of patience for you! !